The annual Winter Retreat offers a beautiful opportunity to deepen Dharma practice. 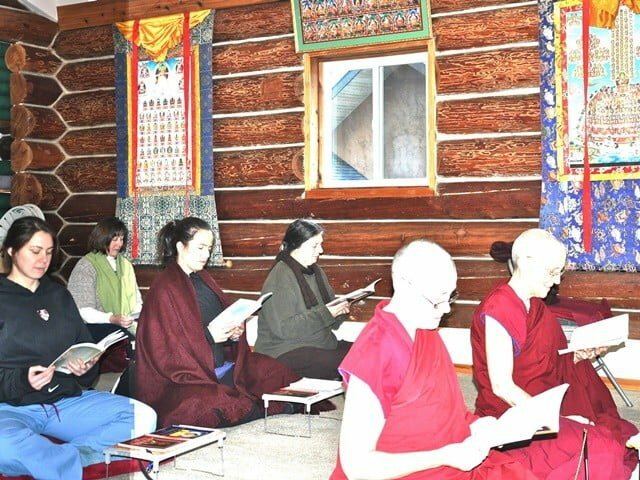 This winter’s retreat will focus on the purification practice of Vajrasattva. The three-month retreat is suitable for completing the Vajrasattva ngondro (preliminary practice), which entails 111,111 recitations of Vajrasattva’s 100-syllable mantra. A one month option is also offered, December 27-January 24. 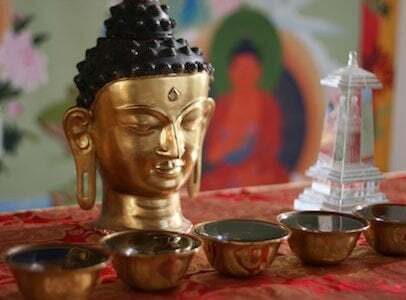 The schedule includes 5 meditation sessions daily, as well as weekly teachings with Ven. 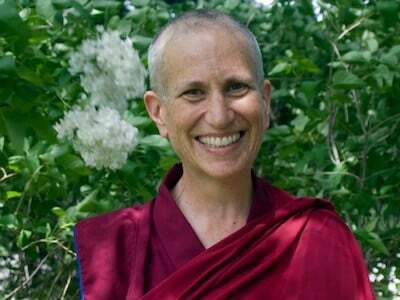 Thubten Chodron. You will practice with the nuns and monk of the Abbey community. The retreat is held in silence. More detailed Winter Retreat information is on our Winter Retreat page. Guidelines for how prepare for the retreat will be posted as they are developed. In the meantime, learn more about the Vajrasattva practice from extensive teachings on ThubtenChodron.org. If you’ve been meditating for a while, have a steady practice, have studied the lam rim (gradual path) teachings and want go deeper, consider the Winter Retreat. Admission is by application. Use the long application to apply. See the Winter Retreat page for detailed info. Read reflections and see photos from the 2018 Amitabha Winter Retreat.